Easter is almost here and with that comes a lot of chocolate and a lot of allergy anxiety. It feels like every holiday just revolves around food and it does,if it’s not a major holiday it’s these strange holidays created by who knows who to celebrate everything from pancakes and cookies, as an allergy mom it’s easy to start feeling overextended, it’s not as easy as just running to the shop and picking up whatever. Everything requires a lot of planning and research, is this company safe? will it even go over well with my picky toddler? a lot of variables revolve around being an allergy parent. I’ve started to start overthinking things and just go with it, rather than see silly allergies as a problem, I see it as a blessing. Not being able to pick up everything you see has benefits. I feel like Arren is way healthier than I was as a child with two parents working really late hours, they made up for it by giving me a lot of candy and a home cooked meal was always take out. As a result I was a very sickly child. I always had the flu or a cold or something or the other. Over the years I’ve learned a lot about health and wellness, in some ways it’s prepared me for Arren, which I’m grateful for. Creating a safe environment for him and showing him he’s not really missing out, by avoiding his allergies was a big thing for us. I want to help him realize that by cooking he can make things similar to what he’s supposedly missing out on. Hopefully he will appreciate it when he’s older or at least prepare him how to manage his allergies successfully. That being said I try to make holidays special for him, I want him to have a happy childhood, and have a happy relationship with food. I’m grateful for Arren’s allergies, because it’s helped me take more care of what goes into his diet, he gets treats, but in moderation, as a result he’s never really been sick, he’s had some teething related sniffles, but other than that he’s been extremely healthy. 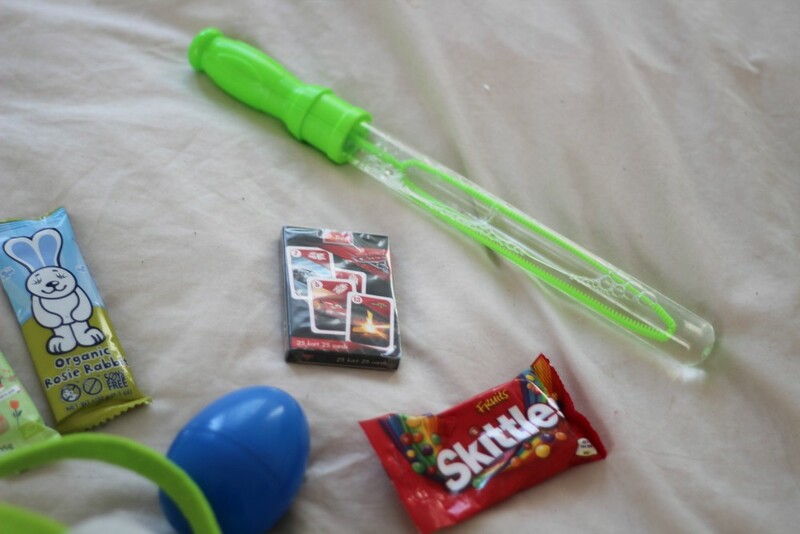 So what’s going into his Easter basket? Some candy,because when you get broccoli black bean brownies as a “treat” you deserve some skittles and chocolate on special occasions like the atonement of Jesus Christ, right? Bubbles or a bubble sword. Spring time calls for bubbles! 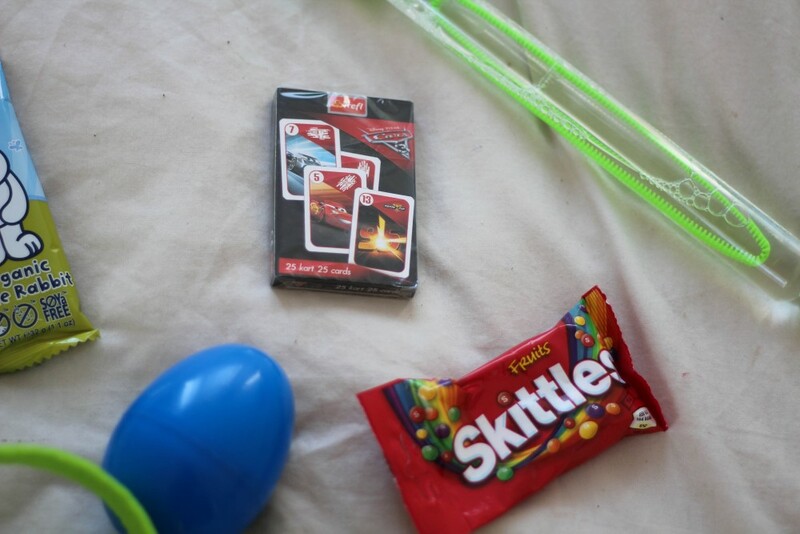 Non food related treats like, lip gloss, cars cards, and a big egg with a toy in it. 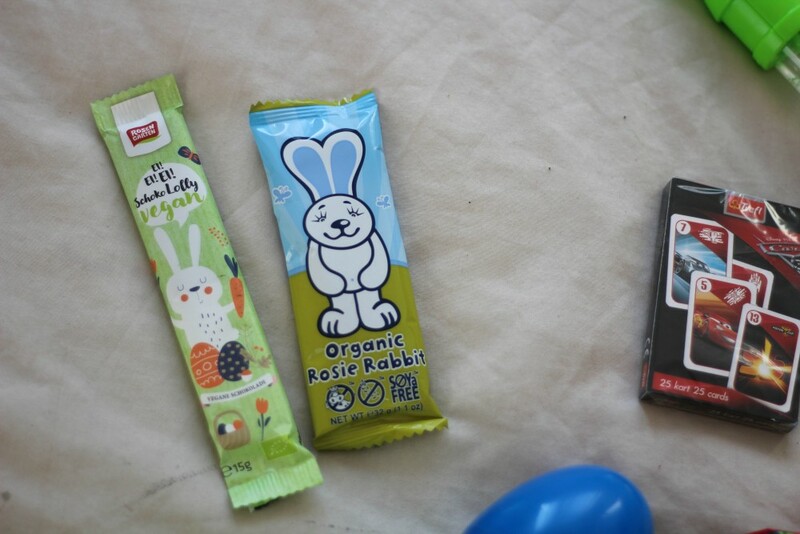 Allergy friendly bunny chocolate. If you’re having trouble finding chocolate check online vegan shops, amazon for vegan chocolate, this is an easy way to find a chocolatey treat with allergies. a little baggy of skittles or yum earth or anything you’re comfortable giving your kid. 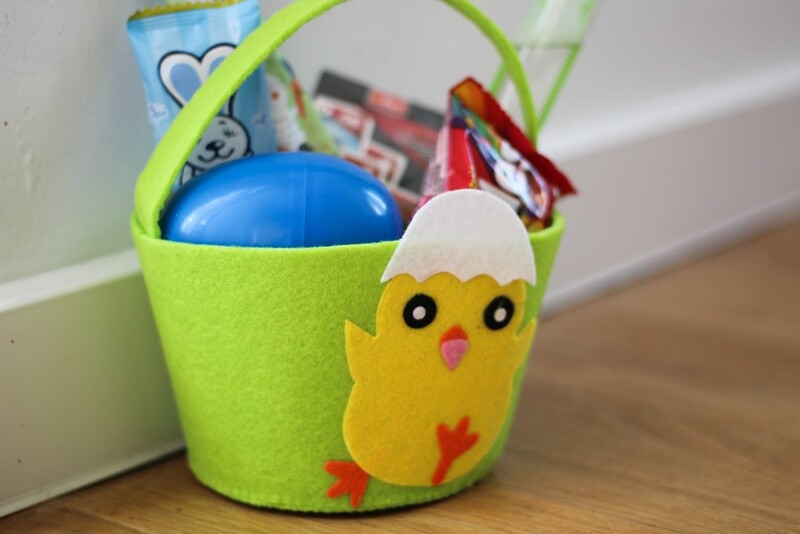 Making a little Easter basket for your allergy kid shouldn’t be such a stressful event, you just need to start with a basket and go with that. 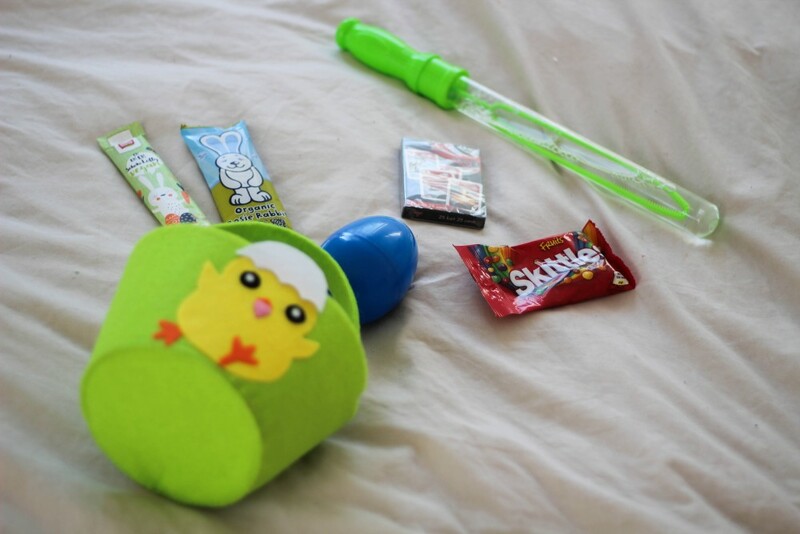 If you’re dreading Easter egg hunts, try ask for a color coded Easter egg hunt. Assign each child a color and hide eggs in each color, the kids can only get the egg that’s their assigned color. Be safe during your Easter activities.